Can I Have My Living Situation “Both Ways”? I am a subtenant in an apartment that is not rent-controlled. I moved in on June 1, 2012. I moved in with a roommate who had a one-year lease beginning May 3, 2012 and it is month to month after that. I moved in on June 1, 2012. The building is a large multi-unit bldg with 9 floors with an onsite property manager. When I moved in, we got permission from the property manager for me to stay there and I was given my own keys and everything. I offered to be added to the lease, but they stated that wasn’t necessary. Rent was $4200 a month. Most months my roommate paid the rent and I paid her 1/2, but on at least one occasion, I wrote a check directly to the property manager for the full rent (in case that matters). My roommate, who is the only person on the lease, is moving out this week. She has paid rent through the end of the month. She has received notice that rent will increase to $4,500. I do not want to sign a one-year lease for $4,500 a month, which was the option presented to me when I told the landlord I wanted to stay. I have asked if I can have a month to month lease and was told no. At least a week ago, my roommate and I have both asked if I can be added to the lease and pay $4,500 month to month and we have not gotten any response. My question is, if I pay $4,500 when the rent is due, can the owner evict me? In other words, even that I am not on the lease, but the landlord is aware of my occupancy and my desire to stay, can he evict me if he finds a tenant in the next couple weeks who wants to sign a one-year lease for $4,500 a month, or is he required to give me at least 30 days notice? And on the flip side, if I find somewhere else to live in the next week or two, is he entitled to 30 days notice, or can I go ahead and move out without penalty? My roommate paid the deposit of at least a month’s rent, and if notice is required on my end, I don’t want me not providing the landlord with 30 days notice to result in her losing her deposit. Yes, I am essentially asking if I can have it both ways. I feel like thus far, the owner has been totally jacking me around, not giving me definitive answers, so he can remain uncommitted while looking for another tenant. So I want to know what my rights are, if any, given that I am not on the lease. If a lessee of real property remains in possession thereof after the expiration of the hiring, and the lessor accepts rent from him, the parties are presumed to have renewed the hiring on the same terms and for the same time, not exceeding one month when the rent is payable monthly, nor in any case one year. Frankly, I don’t know why the landlord would not accept your rent. He wouldn’t have any interruption in the income stream and if he wants to insist that you sign a new lease he can present it to you again. If you refuse to sign, he can give you a sixty-day notice to vacate (because you’ve been there for more than one year) and begin to search for tenants willing to sign a one-year lease. Conversely, if the landlord decide to let you stay as a month-to month tenant, you can give him a thirty-day notice of your intent to vacate if and when you decide to move. Generally there is a clause in most residential leases that provides for the tenancy to revert to a month-to-month tenancy if the tenant holds over (stays in the apartment past the one-year period.) Check your lease to see if it has a different clause requiring some sort of notice on your part. Or take the lease to the San Francisco Tenants Union, join, and have a counselor take a look at your lease to understand your obligations. Assuming that the lease reverts to a month-to-month tenancy, the landlord will have to serve you a notice to vacate. Because the unit is not rent controlled he can serve a sixty-day notice without just cause. If the landlord doesn’t understand this, let him know. If you haven’t paid the rent he can serve a three-day notice to pay or quit. If he serves a three-day notice, simply pay the rent within the period and stay till next month. The key here is to keep paying or offering to pay the rent in writing. If you do not pay the rent and move out the landlord can deduct from the security deposit any losses he incurs from your early departure without notice. If you think you can have it both ways you’re wrong. Pay the rent. That’s the best single piece of advice I can give to tenants. 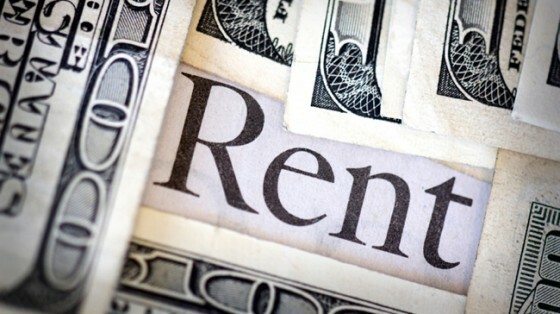 You’d be surprised at how many landlord issues disappear when you pay the rent.